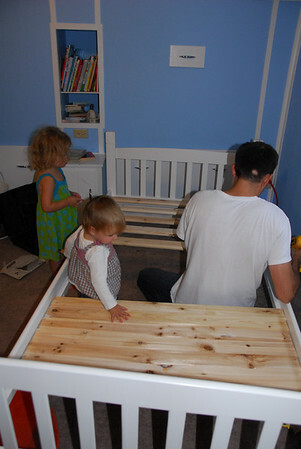 A new baby coming soon means that the girls are going to need to share a room...thus, a bunk bed. 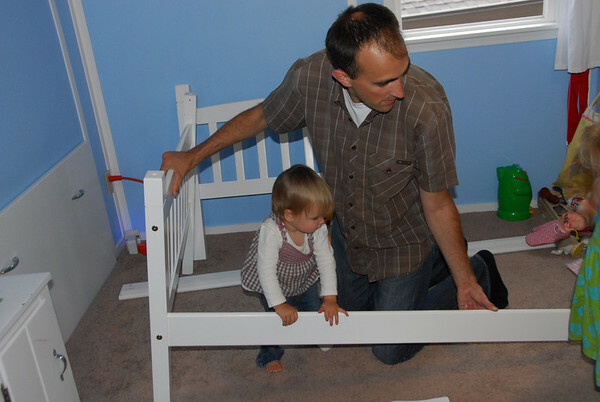 The girls "helped" daddy assemble the new excitement. 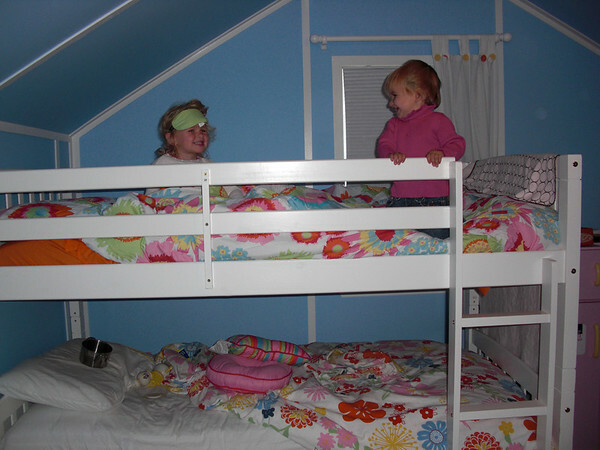 Abby is super excited to have her sister join her in her room. We're delaying that process a bit though because I'm just not convinced Kenzie is ready. CUTE!!! I love the colors! LOVE it ... the bed and the bright, happy colors!